Welcome to foreclosurewarehouse.com. We have been providing Ohio foreclosed homes for sale and nationwide foreclosure listings’ information since 2001. Our website gives you the option to narrow down your search by the desired price, number of bathrooms, number of bedrooms and property type. 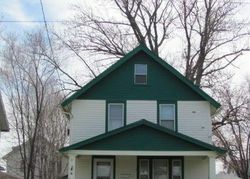 All our Ohio foreclosure listings are previewed for errors by our employees here at foreclosurewarehouse.com. Every Ohio listing contains contact information and photos, if they are available. Cleveland is a very popular city in Ohio, the rock and roll hall of fame is located here, and each year tons of people flock into see it. There are also great football and baseball teams that are located here. It is a great city to look for a house in because there is so much to do here. Cincinnati is more of an urban part of Ohio, this city is located on the Cincinnati river, and is very close to Kentucky, in just a matter of minutes you can be over the border. With a great downtown area that is very popular, Cincinnati is a great place to live and raise a family. Columbus is the capital city of Ohio. It is also the largest city in Ohio. This city has a very diverse economy based on education, government, insurance, banking, fashion, defense, aviation, and much more. It is located where two rivers, the Scioto and Olentangy meet and was named for Christopher Columbus. Toledo is more of an industrial city that is located about 20 minutes south of Michigan. It is also located near Cedar Point a hugely popular amusement park. Toledo has a University in it and a great downtown area. 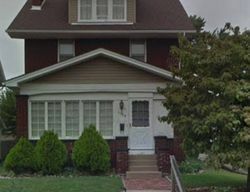 If you are looking for a great deal on housing in Ohio, and you can handle the Midwest winters, look into foreclosed home deals. 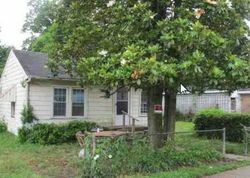 You will find all kinds of great deals on housing on Ohio to match all of your needs and your families needs.